ROYAL SQUARE AT NOVENA is a new integrated development at Novena. Located just next to Novena MRT. ROYAL SQUARE is an iconic building in the Novena Health City vicinity together with Velocity, Square 2, and Novena Square. There will be shops, F&B outlets, restaurants, medical suites and hotels unit in the development. 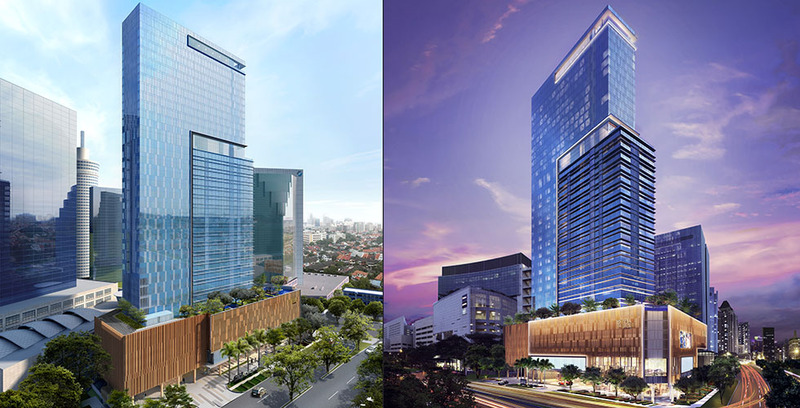 ROYAL SQUARE AT NOVENA will be built as a complex of Medical Suites, Shops, F&B outlets and Restaurants within a hotel development located at the heart of the future Novena Health City. The development will promises a hot demand with the booming in Medical Tourism in Singapore. LOCATION: With the Novena MRT Station right beside, ROYAL SQUARE is perfect for doing any kind of businesses. With accessibility and connectivity, your business will attract a lot of traffic. PENT-UP DEMAND: Singapore is becoming an international hub not only for business but also for education and medical tourism. With a huge influx of international patients coming every year, there is a high demand for medical facilities and supported infrastructure. In addition, a recent announcement by Tan Tock Seng Hospital reveals its ambition to transform the area in a MEGA Healh City call the HEALTHY CITY NOVENA. THE RIGHT TIME: Investment in Commercial Properties is not affected by the Government’s recent regulations (As in Residential Sector). There is No Seller Stamp Duty (SSD), Additional Buyer Stamp Duty (ABSD) as well as Loan Restrictions. Local Investors as well as Foreign Investors are looking elsewhere for investment and is increasing targeting the commercial sectors. It makes commercial properties becoming limited in supply. MEDICAL SUITES is a special kind of commercial properties that even rarer in supply. There are certain medical suites like Gleneagles and Mount Elizabeth Hospital which are strictly sold to Doctors & Specialists. This makes the owning of a medical suites even tougher for someone which is not a medical professional. Book Appointmentto view Royal Square At Novena Actual Unit & get the Best Direct Developer Price (Limited Time). Register yourself below to get a copy of Royal Square At Novena Floor Plans, Full E-Brochure, Pricing, and Latest Updates! Tell us how we can help you by providing as many details as you can. Yes, keep me updated.No, Do not keep me updated. * By subscribing to Future New Launches Newsletter, we will be able to keep you updated of New Properties Launches and Promotions, using the means of communication you have provided us.